Do We Need “Boots on the Ground” In Precision Ag? This blog post is another in a series of guest posts we are rolling out. 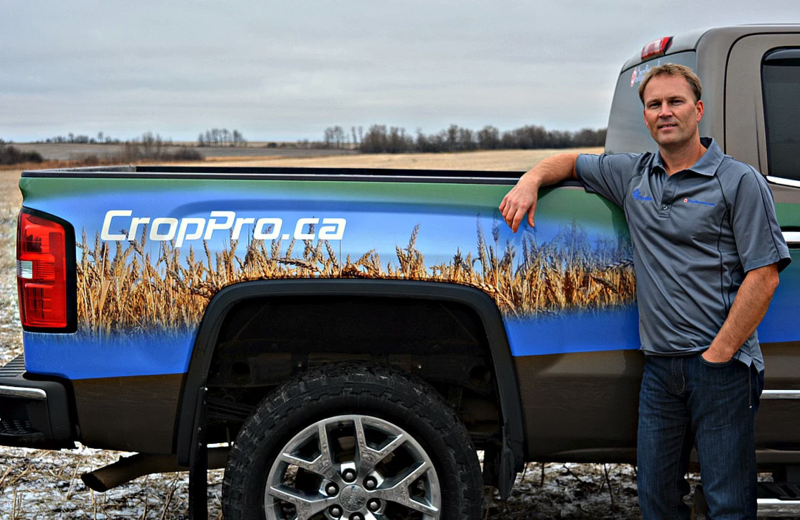 The auther, Cory Willness, was one of the first independent crop consultants in Saskatchewan, starting his own business in 2003. He is the owner of CropPro Consulting which developed out of his passion for leveraging the combined power of modern technology with an in-depth understanding of soil/crop/field variables (boots on the ground!). It’s the age of ag-tech isn’t it? Remote sensing is very accessible by planes, satellites and drones. Yield mapping, weather stations, soil sensors, algorithms and big data are everyday buzzwords in the Precision Ag world. Aren’t agronomists going to become obsolete? Won’t big data models make field checking a vain exercise? Can’t we push a button and ag-tech provides the ultimate recommendation by prescription? Here are 4 reasons we will still need boots on the ground, using your eyes and your brain. Ground truthing Yield Maps: The data is right isn’t it? YES. So why do you need to look at it in the field? Because the map doesn’t tell you WHY there is a difference it only tells you there is a difference. Low yield areas in fields can be due to insects, hills too dry, depressions too wet, diseases, residue issues, compaction and 100 other things. Should you just assume it is a poor area and not fertilize it as much? Of course not, but the map doesn’t know that. Ground truthing Soils Maps: The data is right isn’t it? YES. So why do you need to look at it in the field? Because the map doesn’t tell you WHY there is a difference it only tells you there is a difference. With soil electrical conductivity (EC) mapping you can have areas with high EC on the hills due to wind erosion or poor infiltration. In the same field you can have areas with high EC due to salinity in depressions, side-hill seeps, or bathtub rings. Should all the areas with high EC readings be treated the same? Of course not, but the map doesn’t know that. Ground truthing Biomass Maps: The data is right isn’t it? YES. So why do you need to look at it in the field? Because the map doesn’t tell you WHY there is a difference it only tells you there is a difference. A low biomass area on an image could be due to slow emergence, high mortality, nutrient deficiencies, insects, seed depth issues, weed competition and 100 other things. Should you assume it is just a poor area and put less seed there? Of course not, but the map doesn’t know that. Using your brain to decide what a map should show: We still scout fields to make decisions. We observe issues. We identify cutworms on the hills. We see broadleaf crops have more white mould in the depressions. We see wheat plants at the end of flowering on hills and barely started flowering in the depressions. We see hills ripening too fast and depressions green and lodged. If you see this and want to manage these site-specific issues using Precision Ag you need to find a map that separates them into the right zones. You need to have the end in sight. If you can’t find a map that matches the patterns, zones, and strategies the way your brain knows it needs to be managed then guess what…the map isn’t going to work. The most common mistake in Precision Ag is assuming data and maps are going to provide superior site-specific management…and nobody goes to the field to confirm that by doing proper ground-truthing using an agronomy brain. Maps and data on their own don’t know anything, they don’t provide all the answers. Ag-tech often sells the premise that data collection and technology have all the solutions to your problems, and eliminate boots on the ground. Sorry but an agronomy brain, a set of eyes, and a pair of boots on the ground are still a necessary requirement for solid agronomy in Precision Ag.